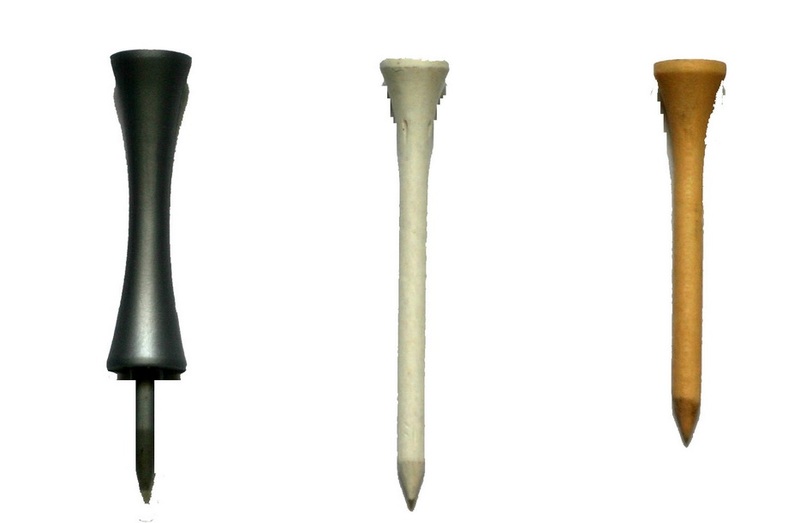 For many people, the biggest decision they have when it comes to a golf tee is simple. 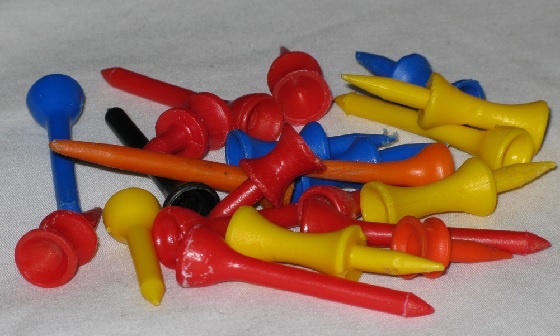 It is a choice between whether they opt for the cheaper and more durable plastic ones, which can often be reused time and time again across the course of a round, or the more aesthetically pleasing, but somewhat fragile wooden ones, which are usually good for one good tee shot. However, teeing up your ball is important and what matters more than the material from which your tee is made from, is that you have the correct tee, or at least the correct height of tee showing above the ground, in order for you to play the shot you want to play. How important teeing up your ball correctly is, quickly becomes apparent if you ever hand a beginner golfer a relatively long tee (one suited to the largest drivers available today is a good starting point) and then watch them place the tee in the ground, place the ball at the top and then usually smack the tee 10 yards down the fairway, while ball pops into the air, and lands on the turf approximately six inches in front of them. The you can amuse yourself further by handing them a small plastic tee to use with a driver, and then watch as they struggle to hit the ball any higher the 2 inches above the ground. Oh, you can amuse yourself no end with a beginner player, a set of different sized tees and a couple of clubs, but when players are doing this (though I wouldn’t advise it if you want to keep your friends) it quickly becomes apparent that there is an art to teeing the ball up to the right height for your type of shot. Is there a ‘Golden Rule’ to teeing the ball up? Personally, I’m not sure there is. I think there is a general rule about teeing the ball up, which is that the further distance you want to hit the ball and the bigger the club you are using, then the higher the ball needs to be on the tee is a very general rule of thumb. However, it is not a uniform increase in distance. Certainly, if you are using an iron off the tee, then you would likely tee the ball up very close to the ground, simply popping the underside of the ball just away from the dirt in order to facilitate your club going underneath it. Tee the ball too high with an iron from the tee and you’ll likely send the ball very high, but not very far, or worse still, simply smash the tee leaving the ball precisely where it is on the tee box. If you are using hybrids or fairway woods, then I think you would tee the ball up just a fraction higher, but again the difference here is barely perceptible with just a fraction of an inch between the optimal heights for each of these clubs. The big difference of course comes when you use the driver and this is when you do tee the ball up considerably higher than on other shots, although by how much this is does differ. That’s because you need to tee the ball up in the optimum position so that it meets the club head bang in the middle, and not too low on the club (which produces a very low shot, or in a worst case scenario, topping the ball just a few yards down the fairway), or too high on the club which will see a much higher ball flight, but nowhere near the distance you wanted. So to work out how high you need to tee the ball, you need to be confident you know at what height your club head will be at the moment of impact. That isn’t easy to do and it can take a little trial and error to get it right. However when you do get it right, make sure you then buy the right tees to suit the shot you want to play. 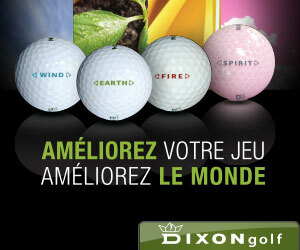 If you are using a large 460CC driver with a large face, then you’ll probably need the largest tees you can find. One great tip I picked up too about wooden tees is that if you hit a shot and your large wooden tee breaks, if the top part of the tee is fine and hasn’t been damaged by the shot, put it back in your bag. You can then use this shorter tee for tee shorts with irons and hybrids, thus saving you money in the long run. There’s more to teeing the ball up than simply perching it on the tee, you need to have the ball situated at the right height for the shot you want to play and to do that, you need the right tee for the job.